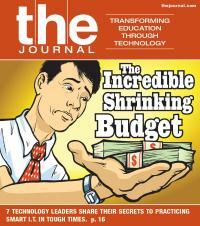 How can districts provide students the latest technology despite shrinking budgets? Excerpts from the SmartIT online discussion (cosponsored by T.H.E. Journal and CoSn) reveal how ed tech leaders across the country are finding creative ways to teach students 21st century skills. Many districts around the country have gotten waivers to exempt them from some of the requirements of No Child Left Behind (NCLB). RedRock Reports President and CEO Jenny House explains what NLCB waivers will mean for your district. Schools without the budget or access to high quality teachers of Mandarin Chinese—quickly becoming a top global language—are leveraging technology to bring a little Beijing into the classroom. Architect and educator Peter Lippman believes that thoughtfully designed buildings can help students learn. In the second part of his article on collaborative spaces, he looks at how designs should differ depending on the age of the students, and also offers questions that districts should ask potential design teams. E-books and digital texts have not made the traditional lending library obsolete. Here, we examine two options for libraries that are looking to let students “check out” books on their personal devices. Open educational resources are enormously useful for teachers, but they must evolve in order to conform to the new state standards for pedagogy. Can putting wheels on students' chairs help them learn? Part 2 of our series on tools for collaboration looks at how allowing students to customize their learning environment using configurable furniture encourages them to work together more effectively.